The competition is in the ballroom on the second floor. This will be the first ever Michigan UP competition! The Memorial Union Building (MUB) is located between the middle and west end of the Michigan Tech campus. You can get to the ballroom by following signs to the second floor. We are excited to announce that in conjunction with this competition, Sydney Weaver and the Cubing Club at Michigan Tech will be hosting a cubing workshop, the Houghton Rubik's Rumble! Check out the Workshop Info tab to learn about this event. The base registration fee for this competition is $9 (United States Dollar). You are viewing the schedule for the venue Michigan Tech Memorial Union Building Ballroom. The ballroom on the second floor. Sydney Weaver and the Cubing Club at Michigan Tech are excited to announce the Houghton Rubik's Rumble! The Houghton Rubik's Rumble! is a workshop event being held on Friday April 19th, 2:00-7:00pm in the Commons area of the MUB, which is located on the ground floor. Registration for that event will be $12, which includes the cost of attending the event and a 3x3 Rubik's speedcube the attendee will get to keep. The event is open to brand new solvers and people that can already solve but are looking for a chance to practice or learn some more. Sydney Weaver travels the country and world for magic and cubing performances, math conferences and festivals, and cubing workshops. She is incredibly talented at teaching first timers. Come learn from one of the best and see some amazing performances! You can register for the workshop event here! Note: this is not the same as registering for the competition. There is a food court at the workshop venue; it closes at 4:00pm. You're more than welcome to hang out the whole 5 hours, but it's okay to come and go or show up later! See you there! If the competition is running smoothly and we have extra time, we may hold an additional round in Skewb, One-Handed, 4x4, and/or 3x3! -Before the competition, watch this great video made by WCA Senior Delegate Kit Clement with the basics of how it all works. -There is also this written tutorial on the WCA website that is very helpful. -We encourage first time competitors to test out the timing equipment before your first attempt! Feel free to ask a staff member how competing works. -The competitors will be split up into groups for competing. You will be assigned a group, which you can find on the Groups Tab. -On the day of the competition when your group number is called you bring your puzzle up and put it in the box that has a scorecard with your name on it and wait in the competitor waiting area until your name is called. -It's a good idea to arrive before the scheduled time for your event because if you are not there for the last call you might not be allowed to compete. -Read the "All Competitors" information below. -Be familiar with the WCA Regulations! -We are going to need all the help we can get from volunteer judges throughout the day to make the competition run well. You may judge in any group you are not competing in and it is greatly appreciated! -If you do not know how to judge all of the staff members are more than happy to teach you. -Parents and spectators are welcome to judge too, it's a great way to have a new experience and be more involved with the event, other than competing! -Flash photography is NOT allowed because it is very distracting to people while they are solving. -You may NOT talk about the scrambles of an event while it is still in progress. -Make sure all screens of any cameras or phones you have on the table are facing away from you otherwise this will result in a DNF. -Please treat the venue with respect, pick up any trash, keep track of your puzzles, and respect other people's puzzles. -We will do our best to retain the cutoffs and time limits as listed. The organizers/delegates reserve the right to make the limits stricter ahead of an event only as needed to maintain the schedule. Any changes will be announced ahead of their respective rounds. Houghton can only be flown to from O’hare in Chicago, so any flights must connect through there. The airport is a 15 minute drive from campus. Round trip with Chicago seems to be about $200 usually. Both of these will bring you straight to the Michigan Tech campus, which is on the Easternmost side of the city of Houghton. Campus parking is free and not enforced on weekends. The closest parking is the space by the J. Robert Van Pelt Library, but that will fill up especially since it’s used by the rest of campus as well. There is, however, nearly limitless parking by the Rosza Center on the far East of campus, which is less than a 6 minute walk to the MUB (on the sidewalk paths through the beautiful campus). If you would like to eat on campus, you can purchase an all-you-can-eat buffet-style dining hall pass at the Wadsworth front desk, which is also the dining hall entrance. Full meal service is only available between 11am-1pm for lunch and 4-6pm for dinner (4-7pm on weekends). It's open between this, but will be sandwiches and cereal type stuff only. The passes are $12.95 (plus tax if you're not a student). Food will not be allowed in the Ballroom, and please only bring drinks with twist on or sealable lids. Sponsored by TheCubicle! 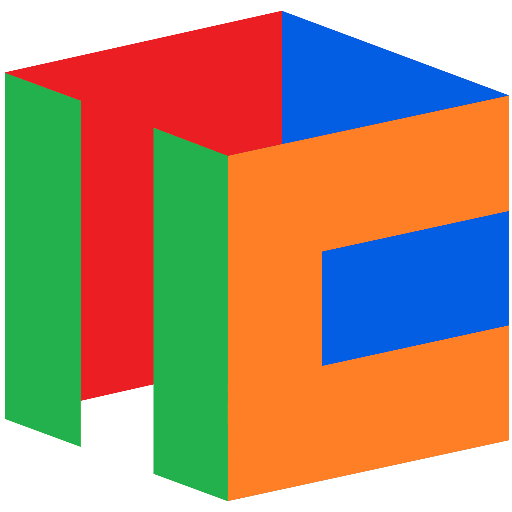 TheCubicle will provide gift cards for those who podium at this competition. Check out their store for all your cubing needs.